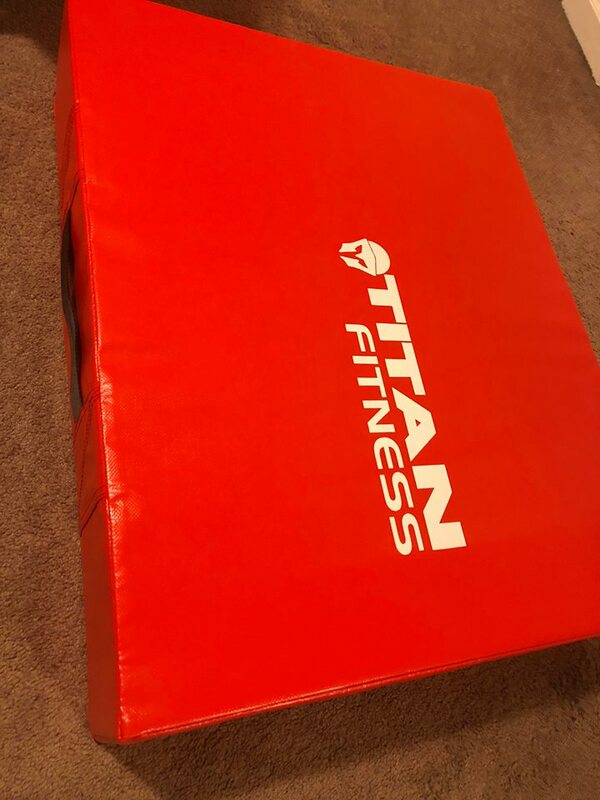 Greatly reduced the noise and vibration from dropping barbells with the Titan Silencer Drop Pads. These high quality pad are 24" x 30" to give you enough room to comfortably drop your weight on and 6" thick to lessen the impact, vibration, and noise from each drop. Each pad has an easy carry for transportation and storage. - Reduce noise and vibration from dropping barbells. - Easy carry handle for transportation and storage. - Weight: 40 LB Pair | 20 LB Single. THE LIFETIME OF YOUR TRAINING EQUIPMENT WILL BE INCREASED. Titan Fitness has just released a simple product that does one thing extremely well, reducing the noise of dropping weights. 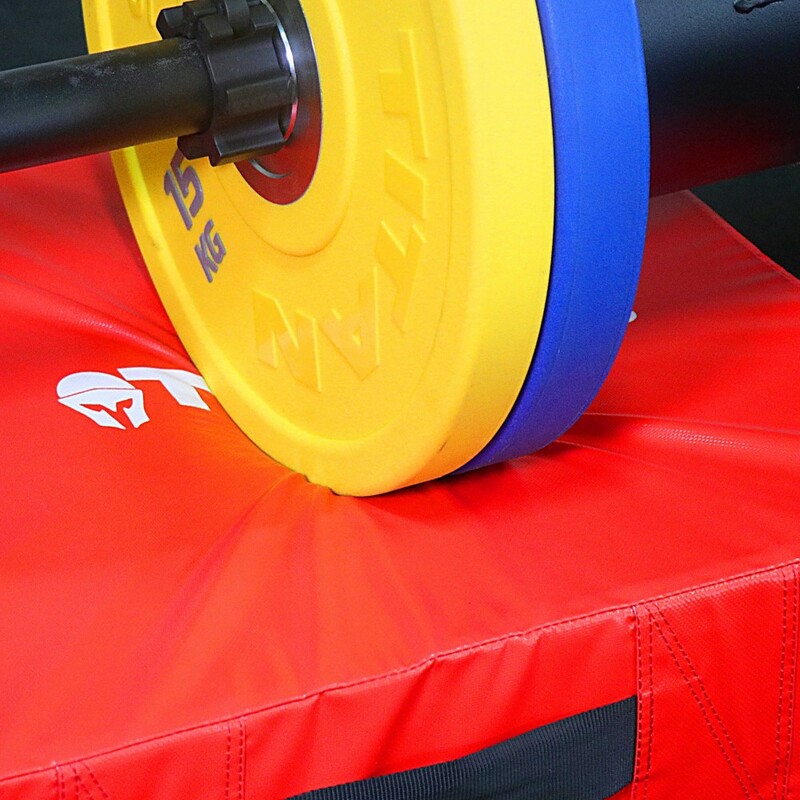 Combining high-quality foam with a durable shell, Silencer Drop Pads are the best option currently available for reducing the noise associated with dropping barbells. This is the end of floor damage and dropped weights sounding like the ceiling is coming down with them. The Titan Silencer Drop Pads are extremely tough and can take a beating. But they are also extremely pliable. This is extremely helpful for those doing high impact workouts. The feeling is firm and supportive, yet forgiving, resulting in reduced stress on your joints. This foam is able to take immense amounts of pressure, yet remain rigid. It's actually pretty cool to see because when you pick it up, it feels like a hard block of rubber. This foam is designed to take repeated abuse and keep on suppressing sound. Great for home gyms, commercial gyms, Weightlifting clubs, CrossFit classes, rooftop gyms, etc.. The unique design serves to cushion the load, reducing the impact force even further and subsequently reducing noise. The reduced impact is also spread over a much wider surface area of the ground, further helping to protect the cement base floor beneath. 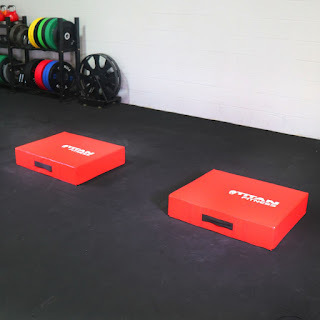 By massively increasing the impact surface area of the weight plate, greatly reduces stress on the weight plates and bar, increasing their life on the gym floor. The cover features a non-skid bottom to keep it from shifting when weights are dropped, and it does a pretty good job of meeting its claims. The cover is available in two different colors, black and blue, The Silencer Drop Pads are the best option for reducing noise from dropping weights that we've found and although they're a bit pricey for just pads and still need need more time to test long term durability, we still highly recommend them.